WASH AND FOLD & DRY CLEANING LAUNDRY SERVICE WITH FREE PICKUP AND DELIVERY! 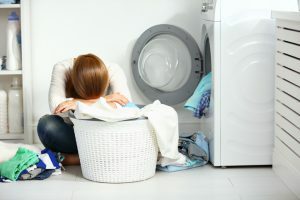 Particular about how you want your laundry done but tired of doing it (over and over and over) yourself? Look no further than Laundry Magician! We offer pickup & delivery laundry service in Florence, KY. Our wash and fold laundry service is personalized and fully customizable. You can choose everything from detergents, dry sheets and fabric softeners (including eco-friendly and fragrance-free options) to how you like your clothes folded. We also offer eco-friendly dry cleaning with free pickup and next day turnaround. You’ll never need to worry about remembering to make that extra trip to the dry cleaners with Laundry Magician. We’ll take care of all your laundry needs so you can get back to doing more important things. Your next laundry day can easily be scheduled online. Tell us when to pick up your laundry and we will be there. So if you live in Florence, KY, sign up with Laundry Magician and take laundry off of your to-do list!